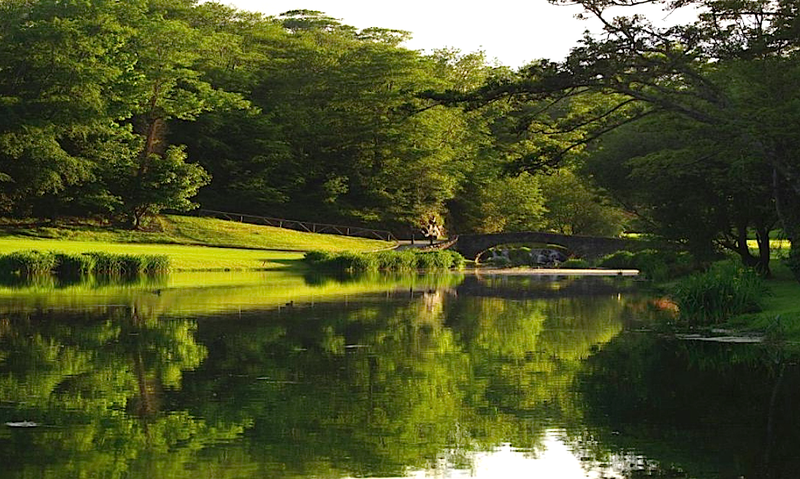 Treat yourself to an overnight stay in Druids Glen Hotel & Golf Resort. Stay in a deluxe room with breakfast, a bottle of Prosecco and credit towards dinner, golf and spa treatments, all for only €165 per couple! You can even bring two kids* along free of charge! After a somewhat quiet Christmas, cabin fever started to set in. 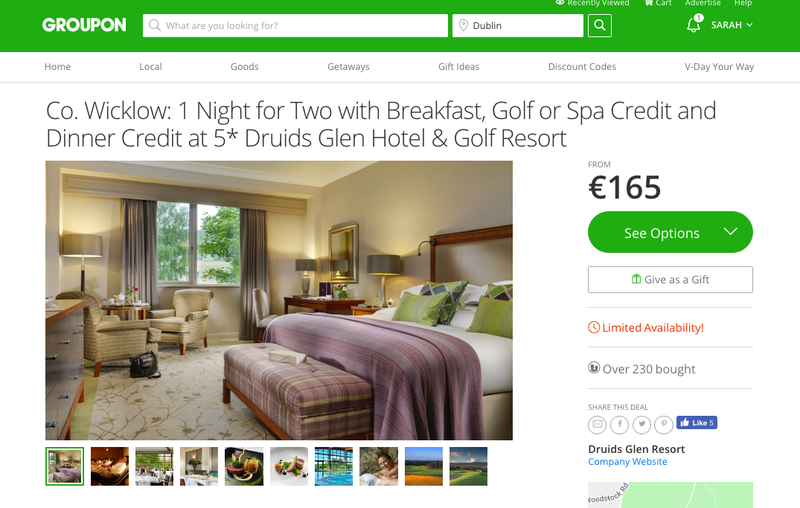 We decided to book an overnight stay in Druids Glen Hotel just before the kids went back to school. We had stayed there many years ago, but this was our first visit with kids-in-tow. 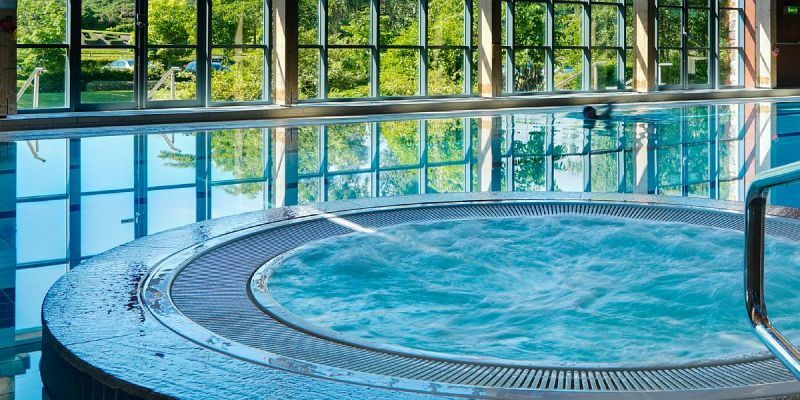 Located in Wicklow, Druids Glen Hotel is actually only a 35 drive from our house. It might seem strange to book a mini-break so close to home, but believe me when I tell you it felt like worlds apart. 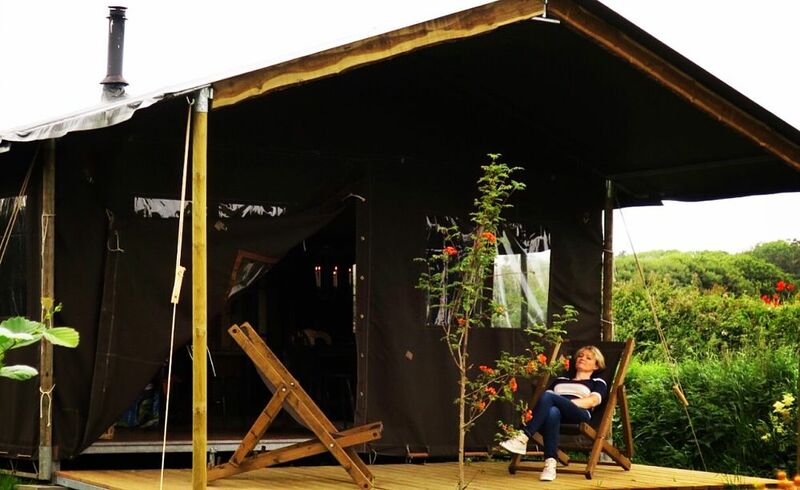 Nestled in 360 acres of countryside, with a spa and swimming pool on-site, it was just what was needed, as the Christmas school holidays suddenly felt very long…. The kids couldn’t believe their luck when they realised it was so close, they are used to long road-trips! We decided to take advantage of the short distance and stop in Glendalough on the way. Check-in time isn’t until 3pm so the plan was to go for a nice walk before arriving in the hotel for a guilt-free lunch. It was a staycation after all and it was good excuse to bring the kids to see the monastic sites and lakes of Glendalough. We chose the 3km walk that circles the lower lake. It usually takes about an hour, but we spent about two hours there. 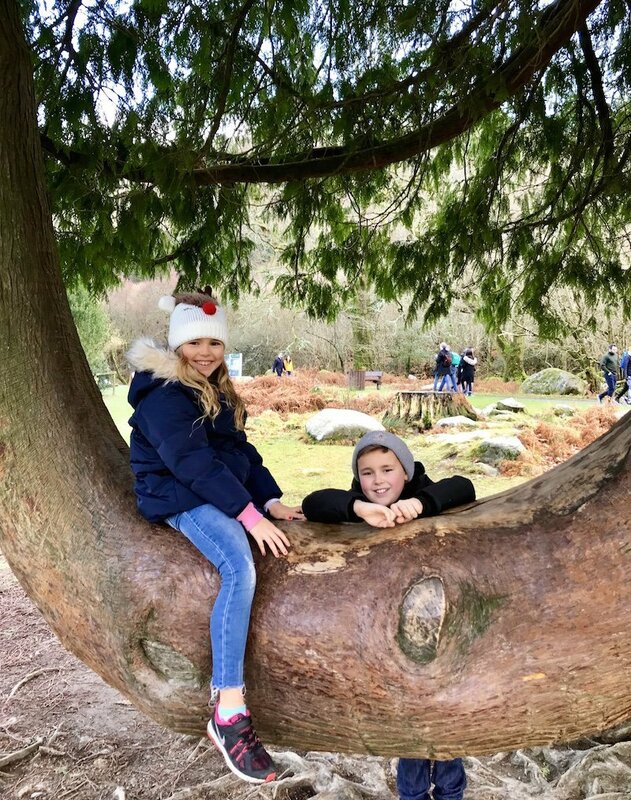 The kids loved exploring the monastic sites and spotting wildlife, as well as climbing some of the unusually shaped trees. Our plan worked and we arrived in Druids Glen Resort just in time for lunch in the Garden Rooms. 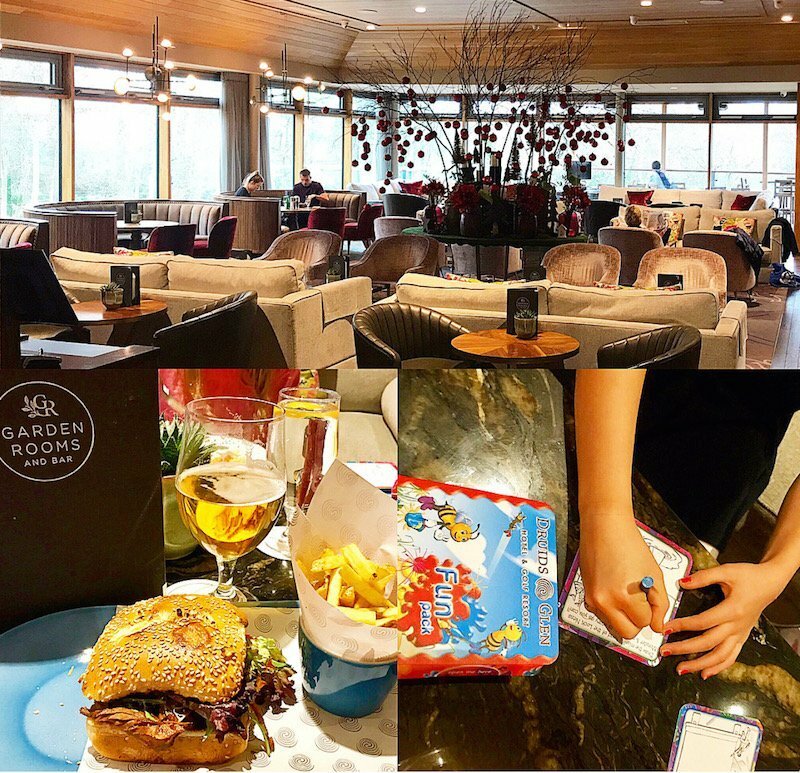 This is a lovely bar with a great atmosphere and floor to ceiling windows, that show off the beautiful grounds of Druids Glen. There is also an outdoor terrace which I can only imagine is a beautiful addition in the summer time. The menu is extensive and has everything from chicken wings to seafood chowder, beef burgers to shepherds pie. I opted for the Slow Braised BBQ Beef Brisket and it was delicious, the only problem was everyone wanted what I was having! The kids menu is extensive too and the pasta bolognese went down a treat. There were lots of families there so the kids made friends in no time, giving us the opportunity to enjoy a few afternoon drinks. 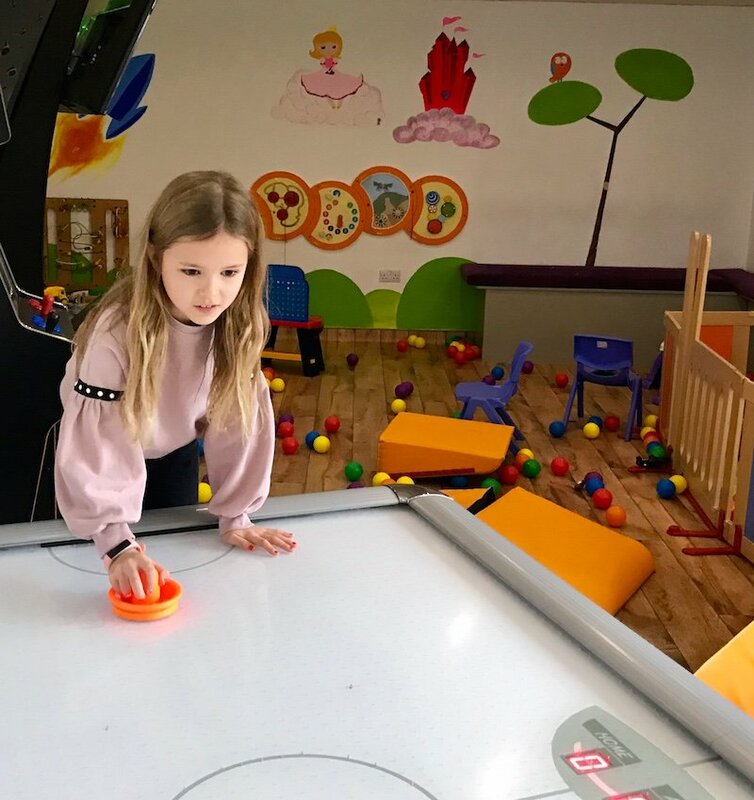 The kids were given activity packs with colouring and puzzles inside and once they had finished playing with these they went off to the kids play room and enjoyed air-hockey and table football. We could have sat there for hours but felt we should check-in at some point! When we eventually made it to our room we were greeted with two ice buckets, one with a bottle of Prosecco and another with a milk and cookies for the kids. We booked our deal through Groupon which included a bottle of Prosecco, amongst other things, but the second ice bucket for the kids was so thoughtful and such a lovely surprise. Druids Glen caters extremely well for families. The standard rooms have two double beds and come with small bathrobes and slippers for children. There is no extra charge to add children (under 12) to your booking if you book the €165 Groupon package deal. Simply call the hotel and they will add up to two children (under 12) to your booking free of charge. 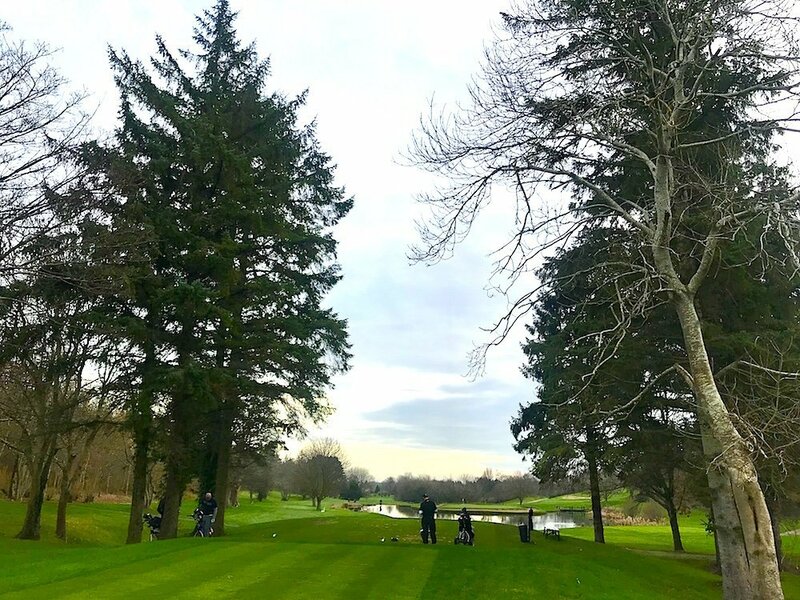 Incidentally this deal also includes breakfast, €15 spa credit towards treatments of 50 minutes or more, €15 golf voucher for Druids Heath Course (per person credits), €20 dinner credit per couple and late check-out by 1pm. They have interconnecting rooms available if you want more privacy or have older children, they also have an extensive DVD library, a 24-hour baby pantry and an outdoor playground. There are extra activities available during school holidays including puppet shows, face painting and sports fun. The Kids High Tea Club runs from 6pm-9.30pm and includes dinner and supervised children’s activities for kids over 4 years old. 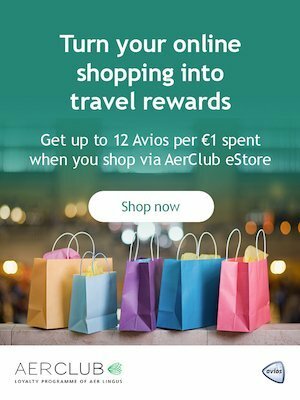 Note – you need to prebook this, the cost is €20 per child. 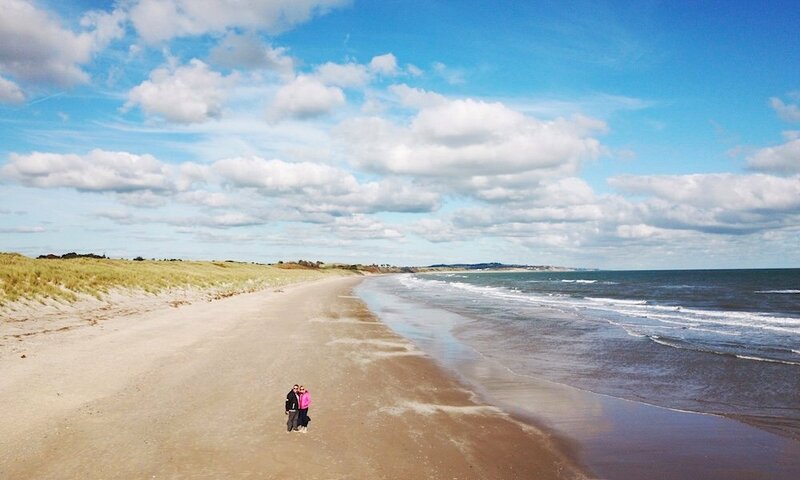 There are also lots of attractions close by for families, such as Glenroe Farm, Sealife Aquarium Bray, Clara Lara as well as countless walking trails and fantastic beaches. We enjoyed our bottle of Prosecco and a lazy couple of hours in our rooms before heading downstairs to dinner. Clearly ‘dry January’ hadn’t kicked in for us yet! It was so relaxing. No taxis, no coats, we just popped downstairs to dinner at our leisure. 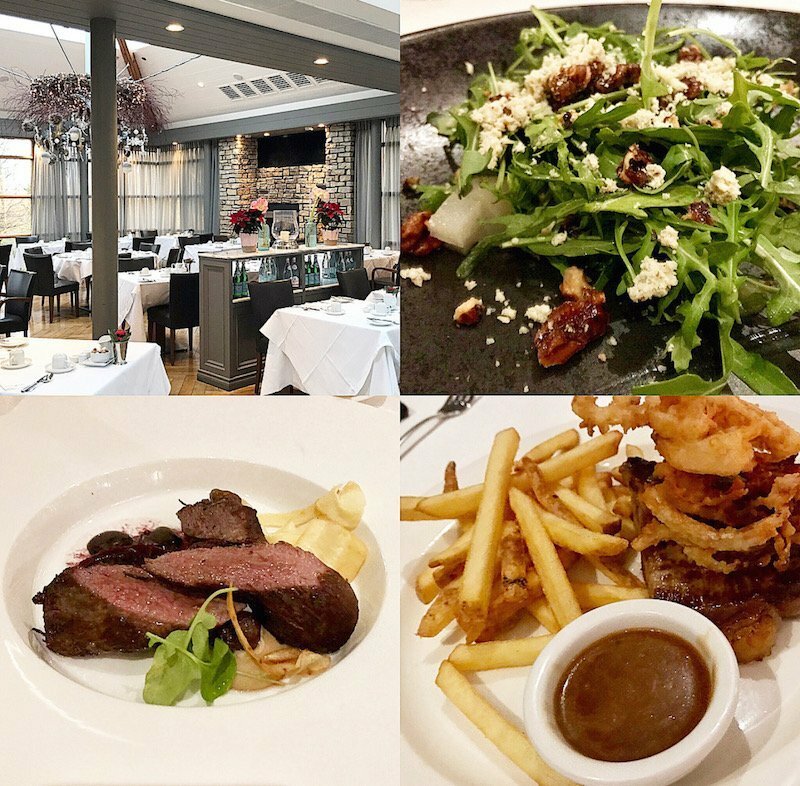 We had the €20 dining credit for Hugo’s restaurant, Druids Glen’s fine dining restaurant, so we had to use it!. Officially kids are supposed to eat by 7.30pm but once we explained our children were older (8 and 11) it was no problem dining later. Hugo’s is bright and airy and although large, it still feels like a restaurant, rather than a hotel dining room. I was really impressed with the food. The Goats Cheese Mousse with Beetroot, Macaroon and Ginger Bread was light and tasty and the Roast Haunch of Venison was perfectly cooked and full of flavour. Cormac loved the Panfried Fillet of Halibut too. The kids pizza wasn’t the best but as soon as our waiter spotted that Luke wasn’t enjoying it, he was quick to ask if Luke wanted something else instead. He then ordered the steak and chips (also on the kids menu), which he loved, and it was great to see that there was no charge for it. The kids menu also has starters and desserts so we were able to have a three course meal together. We just about shared the Aerated Chocolate with Chocolate Grenache and Poached Pear – purely for research purposes . The bill came to €161 which included our €20 dining credit discount and also a nice bottle of Baron de Ley. I thought this was good value for four of us. The best thing though was being able to saunter up to our room afterwards – bliss! We awoke fresh from a great nights sleep and went down for breakfast, which is included in the cost. We were immediately shown what was available at all the different stations and asked if we had any dietary requirements. There was a wide variety of cold and hot food including home made granola, breads and smoothies. They also had cooking stations with chefs on hand to make omelettes, pancakes etc. The selection and quality of the breakfast was superb. Cormac and the kids decided to go for a swim after breakfast. The 18 metre heated swimming pool was a great hit with the kids who are allowed swim from 8am – 11am and 2pm – 6pm. There are adult only swim times too if you don’t fancy kids splashing about while you relax. The health club also features a jacuzzi, plunge pool, sauna and steam room and gym. There is also a host of fitness classes available if you are feeling energetic, or otherwise you can do what I did – opt for the spa! I decided to use my €15 spa credit and booked a facial. It had been quite a while since I had enjoyed a facial (I know I need to do this more often!). I was really impressed with my therapist Daria, who immediately spotted that I hadn’t been using an eye cream! She was also able to point out that I was using the wrong exfoliating cream and this was the reason my skin was ‘flaky’. It was bizarre as this was the reason I booked the facial in the first place, but before I got a chance to mention it, she had analysed my skin. 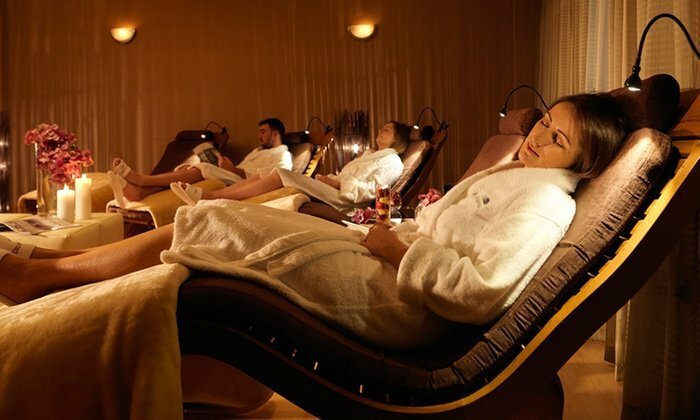 I opted for the Biotec facial which I thought was pricey at €125 for 65 minutes, but I thoroughly enjoyed it and it worked out at €110 with my spa credit. For me it wasn’t just about the facial, it was the therapists knowledge of my skin and what I needed to do to improve it. I loved the fact that she didn’t try to sell me the products there either – just told me what I should use and sent me on my way. It was great to be able to check out at 1pm, this is another perk when you avail of the Groupon package deal. 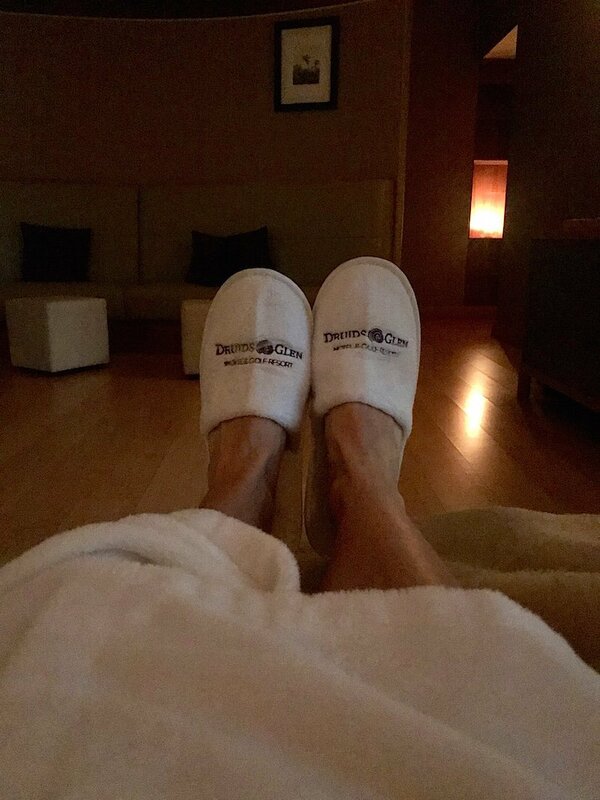 We were able to enjoy a leisurely breakfast, swim and spa treatment without rushing to check out. We decided to take a stroll around the grounds of Druids Glen before we left. I am not a golfer but Druids Glen is home to two championship golf courses, Druids Glen and Druids Heath. The walking trail of 6km brings you close to the greens as well as forests and woodlands. If you fancy stopping half way for a coffee at the golf club, the staff will drive you back to the hotel. We took advantage of this as the rain began to fall. 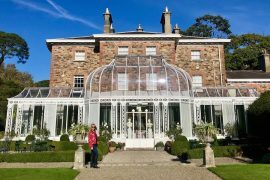 It was time to leave Druids Glen Resort and venture home but once again we were delighted that we didn’t have too far to travel. 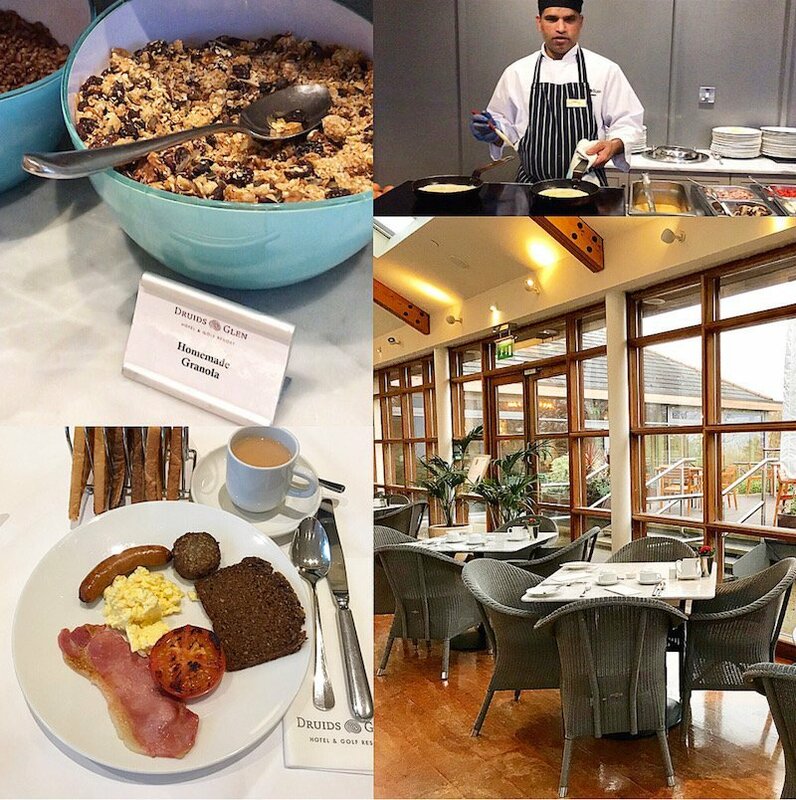 Our overnight stay at Druids Glen Resort was like a sanctuary, we escaped from the hustle and bustle of everyday life for 24 hours and we all felt the benefits of it. It was the 6th of January, the kids were back to school the following day and I was feeling refreshed and ready to start my new years resolutions! One of them for sure, will be to go for more quick breaks away like this. Note: Groupon gave us a complimentary hotel stay, the same package deal that is available on their website. All meals, drinks and spa treatments were paid separately by us. Some of the links in this post are affiliate links where I receive a small commission if a booking is made but an no extra charge to you. * 2 kids under 12 stay free when staying with two adults in the same room. 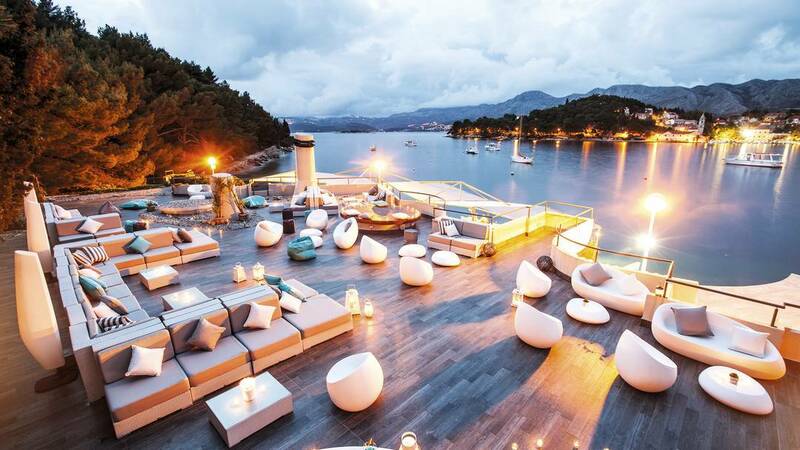 Five Star Holiday to Croatia, 20th October, 1 week €498! 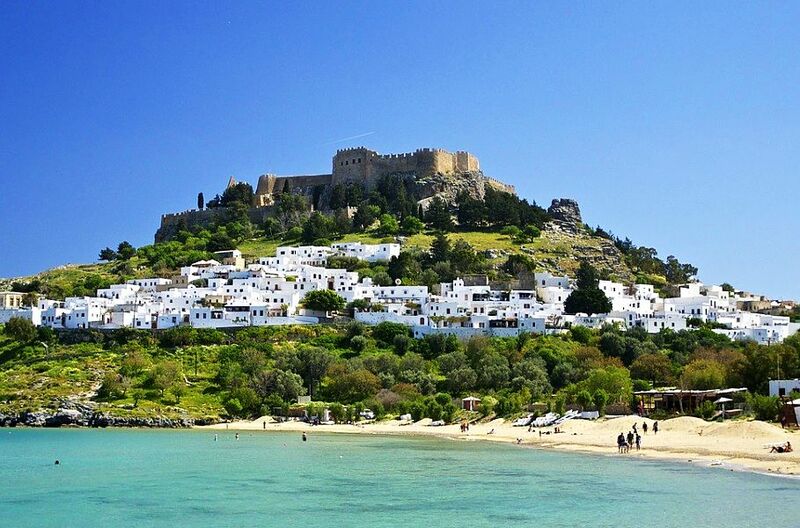 August Bank Holiday Deal To Rhodes, 1 Week, Flights, Apartment, Transfers & Baggage, €449! 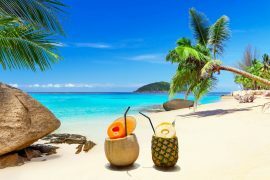 Previous articleSun Holidays from Shannon Airport This Summer – Plot your Sunny Getaway Today!